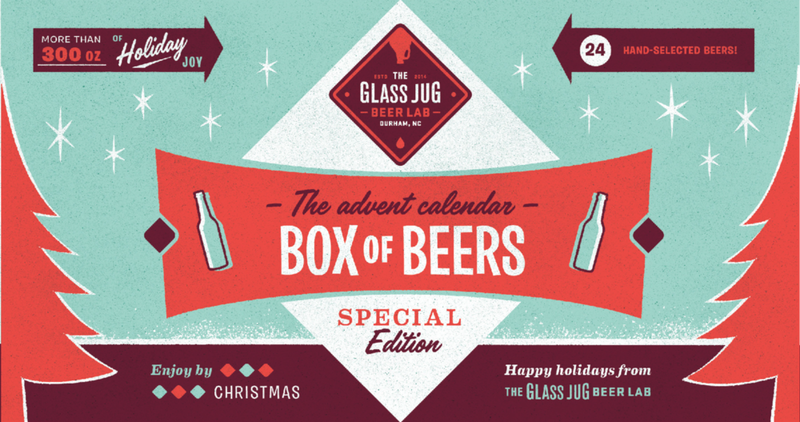 Pre-Order Your 2018 Beer Advent Calendar! You remember the excitement of being a kid and getting a piece of candy each day leading up to Christmas. Well, we Think adults should have better calendars! And, we've made it easy for you! Pre-order your Beer Advent Calendar for 2018 and pick up a pre-packaged case of 24 different beers our staff has carefully selected. It's a variety of styles and features some of our favorite seasonal releases that are sure to get you in the holiday spirit. Each day, from December 1st through December 24th, you'll get an email telling you about the craft beer of the day. Learn about the beer and the brewery each day as you drink it! This year, we've upgraded our boxes and thrown away the paper bags and tissue paper. These are slick packages, perfect for gift-giving, and they have a perforated top so you can open it up to access a new beer each day without having to shuffle through the other beers in the box. Use the form below to order a pre-packaged case with each bottle individually wrapped so you can have a new surprise every day of the month leading up to Christmas! Supplies are limited, and each box is hand-packaged, so go ahead and get your orders in early so that our elves can get to work!